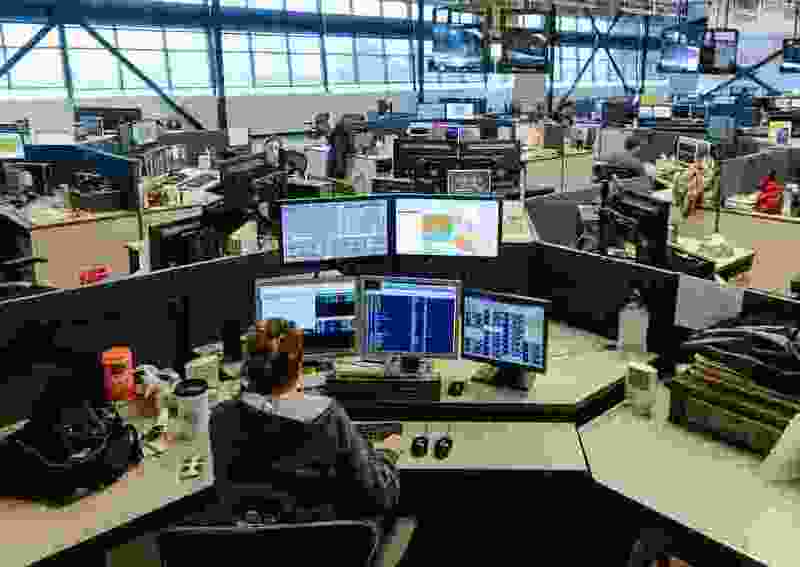 (Francisco Kjolseth | Tribune file photo) Dispatchers work police, fire and individual calls at the Salt Lake Valley Emergency Communications Center (VECC), one of the many public clients of the Utah Communications Authority, an independent state agency. New legal action has emerged in the $1 million-plus embezzlement from a state agency that oversees 911 and emergency radio services throughout Utah, with a lawsuit against an accounting firm hired to review the agency’s finances. The civil suit filed by the state and its insurance agency this week in 3rd District Court against the Salt Lake City firm of Karren, Hendrix, Stagg, Allen & Co. seeks $860,000, plus interest and attorneys' fees. The accounting firm was hired to audit the Utah Communications Authority’s (UCA) financial statements from 2013-2015, but breached its fiduciary duties to the state, according to the suit. As a result of its “failure to identify deficiencies and weaknesses in UCA’s internal controls and the failure to investigate risks of fraud, UCA suffered losses totaling approximately $860,053.12,” the complaint says. That amount is estimated to have been illegally diverted by a former state employee during the period of the accounting firm’s review. That former employee, Patricia Nelson, pleaded guilty to wire fraud in the $1.2 million embezzlement and was sentenced to 27 months in federal prison and 36 months probation. She faced a maximum possible sentence of 20 years. UCA and its attorneys say in the newly filed lawsuit that the accounting firm should have been able to identify problems with the agency’s internal controls, including the failure of its former bookkeeper to require receipts before payment of credit card charges. Scott Hanni, managing partner for Karren, Hendrix, Stagg, Allen & Company, P.C., said Wednesday he had not seen the lawsuit and had no comment on its allegations. Prior to Nelson’s criminal conviction, she and her daughter Crystal Evans admitted in a civil case that they had used UCA’s credit cards to run up hundreds of thousands in personal charges for such things as liquor, mortgage payments, home repairs and vacations. A judgment of $2.3 million, including interest and punitive charges, was entered against them. The two falsified financial records to avoid detection for more than a decade until 2016, when a technician discovered a phony document left on a printer. Nelson was the top assistant to longtime UCA Director Steven Proctor, who resigned shortly before the embezzlement was publicly announced. UCA has since won the praise of legislators for recovering more than $800,000, but some $600,00 of that came from the state’s self-insurance fund, with only about $220,000 coming from the confessed embezzlers. The UCA oversees millions of dollars in public funding drawn from assessments on local governments, state legislative appropriations and a share of the $1.14 monthly 911 surcharge levied on every cellphone and land line in the state. UCA is styled as an independent agency originally created in 1997 under a different name and played a major role in coordinating emergency and police communications during the 2002 Winter Olympics in Salt Lake City. It has expanded to include 25 counties and 147 public safety agencies in recent years and now owns 20,000 radios.